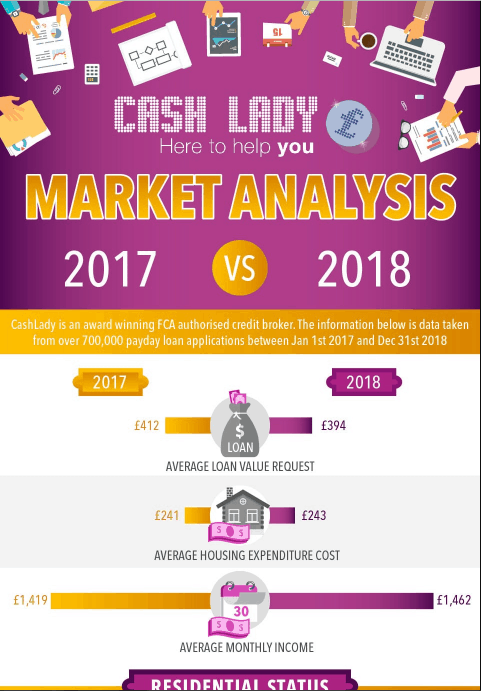 CashLady presents the 2018 high-cost short term credit statistics. In our annual report, we bring you the year on year changes in consumer behavior, living and working conditions and the league table for the top UK employers whose employees turn to payday loans to make ends meet. This information was taken from over 700,000 short term loan applications across 2017 and 2018 from across the United Kingdom. This graphic gives a unique snapshot of the changes across the sector and the changes in consumer behavior. The content also details the UK cities with the most payday loan applicants and the reasons behind the applications.